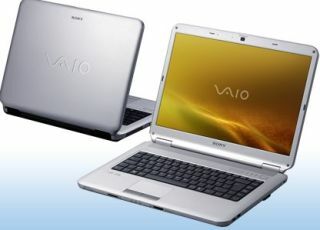 Sony: "entry-level Vaios to compete on price"
Sony has told TechRadar that its latest line-up of Vaio products indicate that the company is going to compete with its rivals in price. Sony Vaio laptops have always been considered 'aspirational' products, luxury items with the quality and coolness to mark them out as desirable. But with the likes of the NS laptop range starting at £449 and the funky all-in-one desktop PC JS series for £699 - Sony's Robbie Duncan the UK product manager for laptops believes a marker has been put down. "These Vaios are our most aggressively priced and strongest entry level propositions ever," Duncan told TechRadar. "Take the NS series. It's a smart, well-balanced laptop for every day users. It's got an attractive design and all the quality features you would expect from a Vaio laptop. "It has things like our X-Black technology to ensure you have super-rich screen experience and a motion eye web camera built into the chassis itself."